Today we continue on from yesterday's The Fortress of Light. Today's post shows 24 ways to prevent or stop any psychic attacks. This isn't something I created myself but it does nevertheless include some interesting suggestions. It's a kind of Pick'n'Mix selection, so a deep breath and off we go with Part 2 of The Fortress of Light. (a) Light is always stronger than Darkness. (b) Darkness cannot exist where there is Light. (c) Love is the most powerful force in the Universe. (d) A person of low consciousness cannot harm a person of high consciousness. As Gautama Buddha said: "The fool who does evil to a man who is good, to a man who is pure and free from sin, the evil returns to him like the dust thrown against the wind." Therefore raise your consciousness. Be good, Be kind. Dwell in the Light. 2. Take good care of yourself. Keep your body fit and healthy. Always be positive and cheerful, and don't let your mind become negative and melancholy. The world is beautiful! Life is a gift, enjoy it, be happy! (a) The Pentagram - a five pointed star symbolising the four elements, and the fifth, the spirit pointing heavenwards. 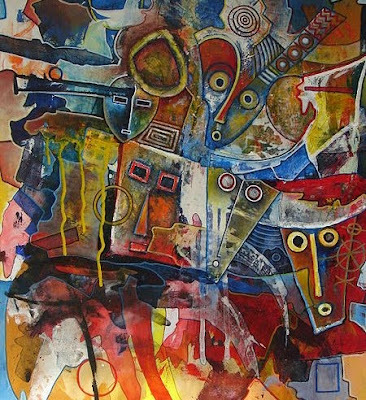 It also symbolises the human body. Satanists wear the Pentagram with the 'head' pointing downwards, representing their opposition to God and the Light. The Pentagram has been a long standing tradition as a symbol of Light, being utilised in both Judaism and Christianity. The beautiful west window in London's Westminster Abbey is the shape of a Pentagram. (b) The Seal of Solomon - a six pointed star. This is the symbol of God, and it is tremendously uplifting and soul strengthening. The upright triangle represents Love, Truth and Wisdom, the downward represents the World, the Flesh and Darkness. Overall it is symbolic of life's eternal lesson that Good will always triumph over Evil. Meditate on each of them and let your soul choose the one most suitable for you. 4.Here are two ways of mentally purging your body of negativity. (a) On a sunny day go outside and hold your arms up to the sun. Feel yourself bathed in Light and the warmth and comfort of God's love and protection. Picture the golden rays of the sun entering your body, reaching, cleansing and rejuvenating every cell, every atom of your body. As darkness cannot dwell where there is light feel all negativity being forced out of your body leaving you as a pure vessel of Light and Love and Goodness. (b) Mentally visualise yourself as being on a high mountain in springtime. Picture the mountain, it's peak capped with virgin snow; further down, where the sun has melted, pretty alpine flowers are in bloom on the craggy, grassy slopes. The sun is shining, the sky a gorgeous blue, the air is so vitalising and fresh, it is a beautiful day! A mountain stream meanders its way down the slope of the valley far below. Its waters are crystal clear and as pure as pure can be. Make these images come alive in your mind. See yourself there on the mountain, visualise, as if by magic, the waters of the mountain stream enter into you, see them enter into your head and gradually go down through every part, and every cell, and every atom of your body. Visualise every bad thing, all the negativity, all the troubling thoughts and any illness within you being washed away. See the waters leaving you, by flowing out of your toes, carrying away all the bad things, and leaving only good. Look below, see all negativity being swept away from you and disappearing into the distance. Now look around you, all is good and pure. You are a new person. You have never felt so good you have never been so free! Rejoice! Imagine yourself as being completely encircled by pure, clear, beautiful and dazzling white light. It covers your body totally, from beneath your feet to above your head and all around your body, forming a protective shell around you. White Light is the radiation of Spirit, of God and goodness. The White Light is the armour of the soul. Do this exercise every day. After a while you will be able to feel the presence and power of your protective aura. You will be protected against all psychic evil. Note: The White Light aura is the Shield of Faith mentioned in Ephesians 6:16. 6. The herb Rosemary is a sacred plant. Wearing oil of Rosemary as a general perfume will afford you divine protection and it will help create a protective force field around your aura to repel evil influences. The plant Rose Geranium is similar in effectiveness to Rosemary. By blending the oils of them together with Cypress you can make a powerful protection oil. 7. Without doubt the most powerful plants that Mother Nature has bestowed on us in our fight against evil are those of the onion family. Onions and their sister plant garlic absorb negativity, Malefic psychic energy and evil entities. This is why vampires are terrified of garlic! The vampire is sucked into the garlic clove and ensnared. To clear an evil or bad psychic atmosphere strew garlic about the place. Come the morning gather it all up and burn it. Another method, for nightly protection from bad vibes and negative forces, is to obtain two onions, cut them in half and put one half in each corner of your bedroom, or at the corners of your bed. They will absorb all the negativity that enters the room. In the morning gather them up and burn them. Both, but especially garlic, will remove negative thought forms. Place halved onions in rooms to absorb diseases and illnesses. Discard the onions next day. Note: Do not touch the onion and garlic when you remove them. Scoop them up with something and burn that too. If you are ill, or if you have a pain somewhere, try rubbing half an onion on the offending area. It could well work a minor miracle for you! 8. If you are psychically attacked never fight fire with fire. If you do you will have an inferno on your hands! Douse the flames of hate with the waters of Love. Send forth a blessing to your attacker. "Bless them who curse you, pray for them who maltreat you", said Jesus. Such wisdom! Your attacker is ill (madness of the soul) so to counter-attack would only increase his hatred, magnify his attempts to harm you. Therefore visualise him or her. Send forth thoughts of Love and compassion to that person. Send forth a blessing in the name of God (or Jehovah, Allah or any divine name you wish). Call for the return of your attacker's soul to goodness and Light, and the cleansing and removal of all evil and hatred. Visualise your attacker's aura and body being irradiated by the holy White Light as a result of your blessing. 9. Salt destroys negativity. If you sense bad vibes in a room or place then sprinkle salt about. It will neutralise all negativity. Basically salt is an incorruptible source for good. Salt nullifies any evil force that it comes into contact with. 10. If you are suffering from unwanted psychic interference by a black magician or similar an immediate remedy can be brought about by crossing over running water. Running water has peculiar electrical qualities which break the psychic link between victim and attacker. Cross running water and the attacker will lose your scent and you can make good your escape - this is as true for victims of psychic attack as it is for hunted animals. 11. Another potent defence is to deny your attackers power. Say forcefully and with conviction, mentally or to his face if he confronts you, "You have no power over me!" If you feel that someone is trying to influence you against your better judgement, with or without your knowledge, then refuse to accept his suggestions and declare that he cannot achieve his evil aims. This will return his evil force back upon himself. 12. If anyone tries to dominate you by staring intensely into your eyes do not return eye to eye contact. Instead concentrate your gaze at the spot just above the top of the nose between the inner ends of the eyebrows. Also mentally auto-suggest to yourself that you will not be dominated, unduly influenced or hypnotised by anyone. Better still walk away! 13. Ferns, ivies and palms are all useful plants to have around. Not only do they make attractive houseplants, but they also have protective properties. They drive away evil and negativity (especially ferns and ivies) and they emanate uplifting vibrations (especially palms). It is said that no evil spells can take effect where a cyclamen grows. It is also said that if kept in a bedroom the cyclamen will ward off negativity and protect you while you sleep. 14. The herb asafoetida burned as incense or carried as a charm drives away evil and disease and destroys manifestations. 15. Repeating the Lord's Prayer, the 23rd Psalm and especially the very powerful 91st Psalm is a potent aid against evil and misfortune. 16. Jewellery made of silver is the best sort to wear. Silver is a protective metal which reflects negativity away from the wearer. 17. If you cannot keep your mind off someone you do not like; if you have several dreams about a person on consecutive nights; if you sense a persons presence about you late at night; if you find yourself beginning to agree with someone that you previously distinctively disagreed with; if you have a general feeling of being under someones spell, then it could be that the person is attempting black magic or sorcery on you to influence you - especially if they have an interest in the supernatural. But there is a solution. Obtain a fresh egg and wash it in cold running water. Then dry the egg with a clean paper towel or cloth. 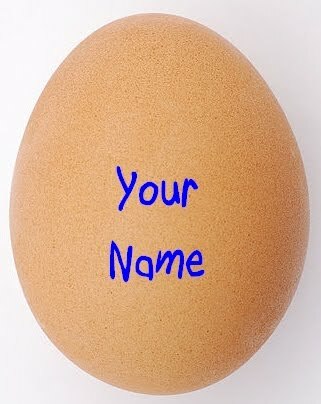 Next get a soft nibbed pencil and inscribe your name on the egg. 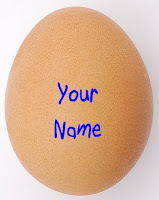 Go to your bedroom and situate the egg by your bed, at the pillow end. Place it on a table or chair so that it is the same level as your head when you sleep. Leave the egg in place for a week. When the week is up remove the egg, take it to the bathroom, smash it in the lavatory bowl and flush it away. Repeat the exercise for as long as you see fit. If the egg cracks or breaks before the week is through remove it immediately - don't handle it, use a scoop of some sort - flush it away. Get another egg and start the process again. Note A: The egg will absorb and store any evil energy that enters your room - whether this be general negativity or evil psychic energy specifically aimed at you. Note B: If the egg breaks either it is full of negativity - or has simply gone bad! 18. At dawn, or thereabouts, go out into your garden and walk barefoot in the dewy grass. You will absorb the earth's magnetism which is drawn to the surface by the rising sun. This is a tremendous exercise to do if you wish to restore and strengthen nerves and bodily defences. 19. For a refreshing nights rest, just before you go to sleep visualise the four Archangels - Auriel, Gabriel, Michael and Raphael - standing guard over you, one at each corner of your bed. Visualise too an aura of White Light surrounding your bed; the two forming an impenetrable force-field of Love, protecting you from all evil and misfortune. 20. Harm no one, neither man or beast. Be good and kind to all. Cause no sorrow, pain or suffering to any living thing, not even the tiniest of insects. Become a vegetarian, or better still a vegan as meat pollutes the soul and poisons the body. If you take care of your fellow man and the Lesser Brethren in their need, the Higher Forces will assuredly take care of you and yours. 21. If you suspect someone of psychically attacking you make sure that they don't get hold of anything personal belonging to you. Do not lend them anything and keep the full date of your birth a secret from them. Also avoid solitude, drugs and alcohol. Take plenty of sunshine. Seek help from either an experienced genuine Servant of the Light psychic practitioner (no money should change hands) or a clergyman. 22. In New York about thirty plus years ago a number of men, for some reason or other, fell foul of a Voodoo magician. Being an evil character he set out to destroy them. He made Voodoo dolls of each of them and carried out nightly pin-sticking rituals on the dolls. He informed the men of his actions and, not unnaturally, they were extremely frightened. Through a combination of fear and evil psychic energy their health steadily deteriorated, to a point where they were quite literally dying. A kindly wise man heard of their plight and offered to travel to the magician to reason with him. He visited the Voodooist and on his return he informed them the curse had been lifted and the dolls destroyed. The men immediately felt better and, within days, they completely recovered. The extraordinary thing was that the Voodooist had refused to end the attack. It was, therefore, equally as destructive when they were recovering as when they were dying. The wise man used psychology to save the men's lives. This story goes to show the terrible self-destructive damage generated by fear. It also goes to show the great power of the mind when rightly motivated and directed. 23. If you believe someone is trying to psychically influence you there is a simple defensive technique. Naturally any psychic attack is going to come via the victim's psychic centres. Therefore, to block the attack, the centres need to be closed down. There is one simple way to do this - eating! When there is food in the stomach the psychic centres are automatically closed down and all the body's energy is directed into the digestion and assimilation of the food and its nutrients. 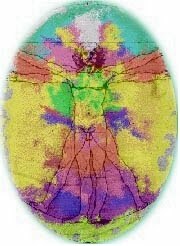 For an effective force of psychic energy to enter or leave the body the stomach needs to be empty. This is the reason genuine spiritual healers always fast before attempting a healing. 24. Whether under psychic attack or not, always center your thoughts on God. It is immeasurably more difficult for a black magician to get a psychic grip on a truly religious person, regardless of any psychic self-defence technique being employed. As mentioned previously the person of genuine high consciousness is immune to psychic attack, their aura being imbued with such a powerful force field of Light that no malefic energy can penetrate it. The above knowledge can set you free - you have found a sanctuary from evil in the Fortress of the Light. Fascinating stuff here, some of which I've never heard before. Have you ever tried any of these things, Mike? The egg exercise is weird. Trish & Rob: I've tried a couple but can't say I've had many psychic attacks. One I did use was the herb Rosemary. I had a time when everything seemed to be going wrong and I had a feeling I must have crossed someone's path. The Rosemary did the trick - placebo or the actual herb, who knows. Great list. # 23 is interesting to me because I often wonder how it is possible to become obese. Those that are obese, who I know, are great people, helpful, talented - and always seem surprised to be obese even though they bathe and dress themselves. Great article Mike with powerful tips, some of which I already knew that are tried & true! On Tuesday 1/18/2011, I tried the egg spell in my bedroom for more restful, better lucid recall of my REM/dream state time. As of 1/21/2011, I can report it is already working! Over the past five year me and my family have been attacked by some unknown wicked person, he/she would create a psychic link with me and then keen on sending negative thoughts. I found that crossing running water and having salt bath's breaks the psychic link, alothought this person somehow manages to find me again but when he/she does i'am prepared. I am gone ret the other meathods and see how well they work, but overall this is a great article on how to protect from psychic attack. Thank You for your wise knowledge. thanks for this....I really need this. I like that suggestion about the egg, unfortunatly it's probably the one thing I haven't tried. For money reasons I am living with my parents, and 2 out of the 3 people who have done most of the psychic attacking are people that if I had the money to move away from them I would have left years ago. Sea Salt baths have helped give me temporary breaks from it. But since I started protecting myself they started going after me in my dreams (a line they only started crossing recently), and if they caught me using the eggs I think it might go from psychic attacks to physical attacks. It's like they are addicted to keeping me under attack, and when I deny them their fix they start increasing their attack. Needless to say the more they've attacked the more I've done to put up my defenses and push them away. Actaully I'm pretty sure at least one of them is a full blow vampire at this point, I won't let him take my power from me by means of letting him control my every decision so he started doing other kinds of psychic attacks, and putting me in physical danger to make me let him start feeding again. What an interesting and educating journal, I am so happy I came across this. Thanks, I really appreciate. Nice article ! Can anyone tell me experience regarding # 17 - EGG. I am about to try. "Seek help from either an experienced genuine Servant of the Light psychic practitioner (no money should change hands) or a clergyman." Mike, are there any specific reasons why "no money should change hands"? Not even a small donation? Thank you for this great article, I have more knowledge now. Hello Mike, this is a bit of a story. I have a cousin about 8 years younger than me, He is psychic and he is also mentally ill. I saw him once or twice when he was a preschooler but not since. That was approximately 50 years ago. A few months ago I got a friend request from him then after a couple of weeks he unfriended me. Since then he has been trying to plant thoughts in my mind. It's obvious what is going on because the thoughts are so crazy. He would think that it is very amusing. Basically, he is monitoring everything that I say and do. I also have some psychic abilities but not to the extent of his. Is there a way to stop his games?